DEMO COMPACT(used for demonstration only) Double Mirror Compact Fish Design Silver Tone Metal Does not come boxed. 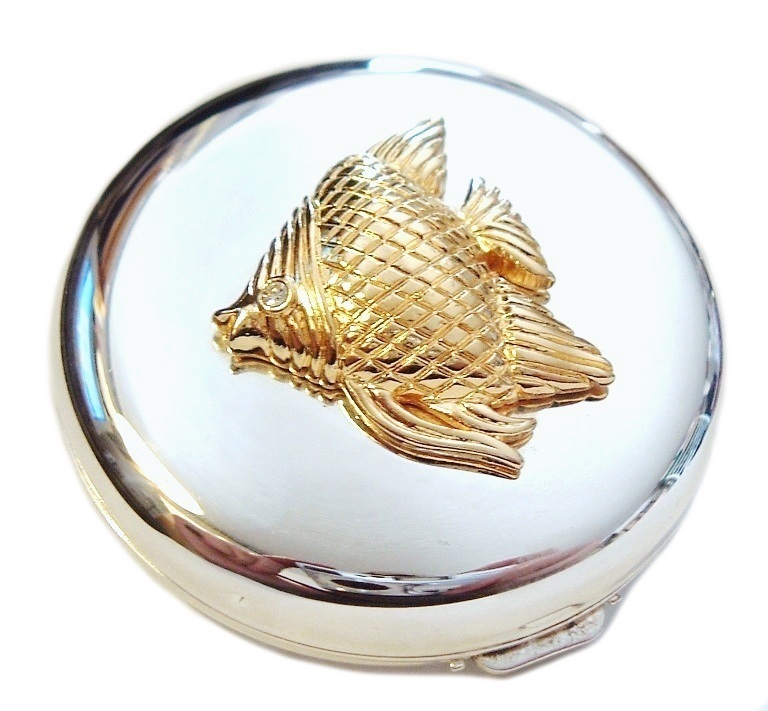 SOMETHING FISHY Compact Mirror is silver tone metal round shape with gold tone fish design double mirror compact. It has one regular non- magnification and one 2x magnification. It is brand new but the outer surface may have some SLIGHT scratches as the high polish surface does scratch easily. It measures about 2 1/4 inches. THANKS FOR HANGIN OUT! RETURN POLICY: Apologies, NO RETURNS on this item. Thank you. DOMESTIC SHIPPING: 3.95 First Class Mail (4 to 7 business days). COMBINED SHIPPING: Combined shipping discounts are deducted automatically. You may also take advantage of the BEST OFFER listings and make an offer. Thank you. Sales tax to CA residents applicable.